The relationship between Christianity and Islam is complex. This collection of essays by scholars and human rights activists engages with some of the most pressing issues in Christian-Muslim relations, addressing matters of theology, the encounter between civilisations and inter-religious affairs. Some of the most controversial and sensitive questions are considered, ranging from sacred text to the politics of multiculturalism. These are key questions for the 21st century, a period when Christianity and Islam are destined to interact more closely than ever before in human history. 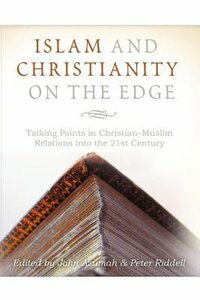 About "Islam and Christianity on the Edge: Talking Points in Christian Muslim Relations Into the 21St Century"
Peter G. Riddell is Professor of Islamic Studies and Director of the Centre for Islamic Studies and Muslim-Christian Relations, at London School of Theology. He is the author of several books, including Islam and the Malay-Indonesian World: Transmission and Responses (Hurst) and Christians and Muslims (IVP); the co-author of Islam in Conflict (IVP); and the co-editor of Islam: Essays in Scripture, Thought and Society (Brill). Foreword; List Of Abbreviations; List Of Tables; Introduction; Part One: Theological Foundations; 1. Islam And Contextualisation: The Insider Movement In Islam; 2. Recovering The Original Texts Of The New Testament And The Qur'an: Possibilities And Impediments; 3. War, Holy War And Islam; 4. War, Holy War, Just War: Christian Perspectives; 5. Poles Apart: Diverse Muslim Perspectives On 'true' Islam; Part Two: The Encounter Between Islam And The West; 6. Western And Islamic Concepts Of Knowledge And Truth Compared; 7. The Compatibility Of Islamic Shariah Law With The Universal Declaration Of Human Rights; 8. Islamophobia In The Western Context; 9. The Westophobia Report Update 2010; 10. The Future Of The Muslim Community In Australia; 11. Islam And Europe: Ramifications For The Church; Part Three: The Church And Islam; 12. Christian-muslim Dialogue Into The 21st Century; 13. Christianity In Modern Turkey: Some Reflections On History And Religion; 14. The Blacksmith's Anvil: The Forging Of Christian-muslim Interaction In Europe; 15. Conversion And Apostasy: The Case Of Islam; 16. Responding To Da'wa: Potential Ambiguities Of An Interfaith Appeal; 17. Christian Responses To Islam: Between Naivety And Hostility; Contributors; Index.